Looking for an original and cheap way to travel the world? Then, CouchSurfing might just be the solution you have been searching for. But what exactly is CouchSurfing? CouchSurfing is a non-profit hospitality exchange network consisting of 2.8 million members in over 240 countries and territories. The concept is really simple: after signing up online for free (www.couchsurfing.org), members fill out their profile by posting details for others to look at. Using the search engine, you can search for members according to their location and access their profile. If you are interested in meeting them (for a drink or to “surf their couch”), you can send them a request which they can either accept or refuse. CouchSurfing is therefore a community made of people willing to share hospitality with one another. Sharing, however, not only implies receiving but giving as well. That is why you are more than encouraged to welcome CouchSurfers (travelers) into your own home. CouchSurfing is not just about saving money and finding a free accommodation; it is also a completely different way to travel. Through CouchSurfing, guests spread tolerance, share their cultures and are able to capture the local flavor of the country they are visiting, something you cannot achieve by just staying at a hotel. The concept of CouchSurfing was created by Casey Fenton in 1999. After finding an inexpensive flight from Boston to Iceland, Fenton sent around 1,500 emails to students of the University of Iceland asking if he could stay at their place for free. He received around 50 offers of people willing to accommodate him at no cost. After his return, he began developing his ideas that led to the creation of the world-famous website. A lot of people wonder if it is safe to invite someone new into their home or to stay with someone they do not know. It is true that CouchSurfers need to be really flexible and open-minded and also willing to be in situations where they are not always in control. If you are not okay with unknowns, then CouchSurfing is definitely not for you, as it makes you step outside your comfort zone. – References: members can leave feedback on their guest’s profile, which can be either positive or negative. Feedback from other members cannot be deleted or changed. It is therefore a secure way to see if your guest is reliable or not before making a decision. – Vouching: members can vouch each other. It shows a really strong feeling of trust. – Verification: verified members have confirmed their identity and location. This enables you to be sure that members are who they say they are. – It is never too late to say no: if the situation you are in is really awkward, you should ask the CouchSurfer to leave (if you are hosting) or leave (if you are the one surfing). – Meet in a public place: if you feel uncomfortable about inviting someone you do not know into your house, meet in a public place first. You can then decide whether you want to welcome the CouchSurfer into your home or not. – Trust your instincts: it may sound stupid but it is probably the most useful tip in this kind of situation. – Have a back-up plan: if you are not sure about your host, always have a back-up plan. Write down the number of a hotel close-by/taxi company/etc. For more tips, please visit http://www.couchsurfing.org/tips.html. More than a free accommodation website, CouchSurfing is a network that promotes dialogue between cultures. Most CouchSurfers describe their experience as life-changing, stating that it has changed the way they understand the world and enabled them to be wiser. In a world full of terrorism and conflicts, CouchSurfing is also a way to promote peace by learning about each other’s culture and traditions. It is one of the most authentic ways to travel. 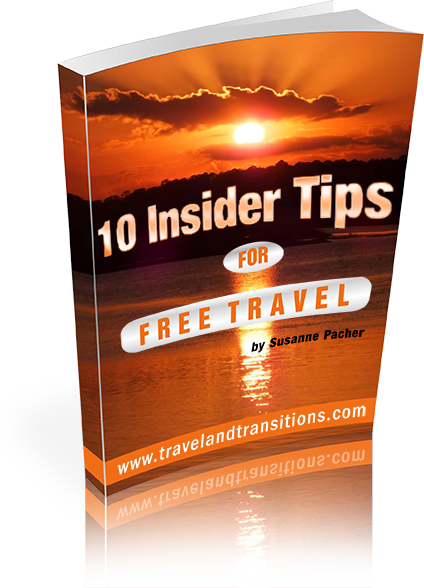 Visit our website for additional travel tips and unconventional travel ideas. This article talks about houseswapping in the Provence. Another affordable travel idea: houseboating!